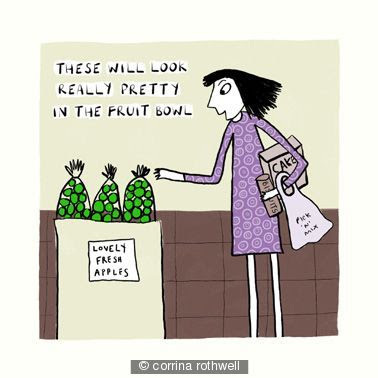 I discovered the work of Corrina Rothwell in one of my favourite galleries in York and I immediately fell for her combination of illustration and humour. 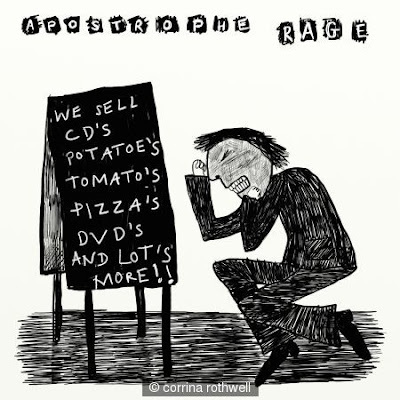 I really admire the way she commits to expressing a single idea within her drawings. Their direct simplicity really appeals to me and her words make me smile. 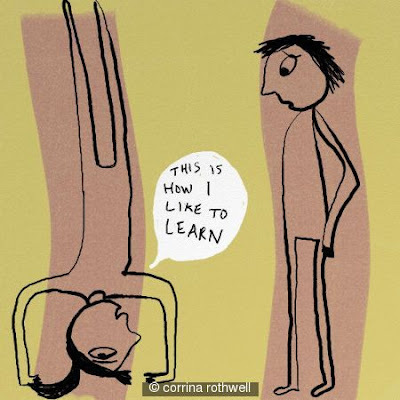 For further examples of Corrina Rothwell's art see both her website and her blog . Her work makes me want to reconnect with my pencils and pens which, these days, often get overlooked when I first consider creating something. I think the last time I did use pencil on a project it was for the PostSecret challenge we did here on Copy + Paste last summer in which I confessed to wanting to write comedy. Perhaps drawing hands have a direct link to funny bones? Maybe I need to dust off my pencils [or even crack open my lovely new ProMarkers] and put my funny-head on. Funny head. Not funny face. There is a difference. How very lovely to stumble upon these kind words about my work! When I say stumble, what I mean is I was vainly Googling myself....Am impressed you have Marc Johns on here too, just discovered him recently and I think his work is fabulous. Thank you Julie and have a nice day!